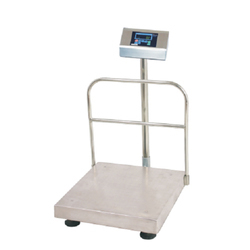 We hold year of experience in industrial working as we are a leading manufacturer, supplier and exporter, we are offering platform scale to our clients. Our product ranges are widely known for their quality. 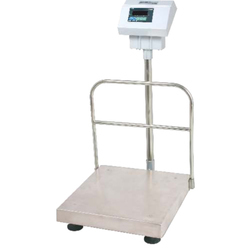 We hold expertise in offering a wide range of DS-415N Platform Scale to our clients. Our products are widely used as a weight instrument at various places. This product is made with fine quality of materials and liable to perform its working for long period of time. Our products are quality tested and compounded with new technologies. 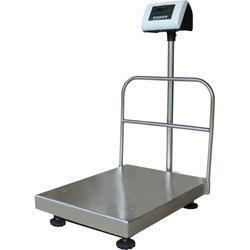 The DS-215N Platform Scale is an entry level Weighing Scale and features a Red LED Display. 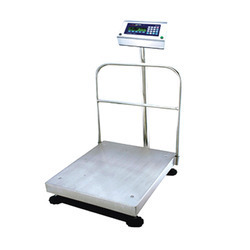 This model comes in a wide range of capacities & options ranging from Bench-type to Platform Scales. It comes with a Standard Rechargeable Battery, which makes it an ideal choice for conditions needing usage without Mains Power Supply. 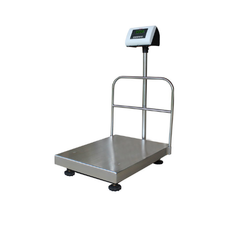 It is an ideal choice for Grocery, Dairy & most Retail Weighing applications. 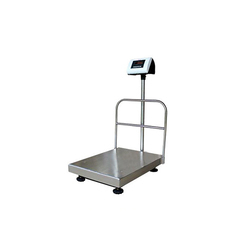 A high-Performance Industrial Platform Scale engineered and built fully out of Stainless Steel SS-304. It is the perfect choice for the Food Industry, which demands a high level of hygiene & Low Maintenance. Its unique Industrial Design makes it highly Reliable & Rugged in the above Industries. It also comes in a low height profile version with optional ramp thus enabling easy weights for large items.